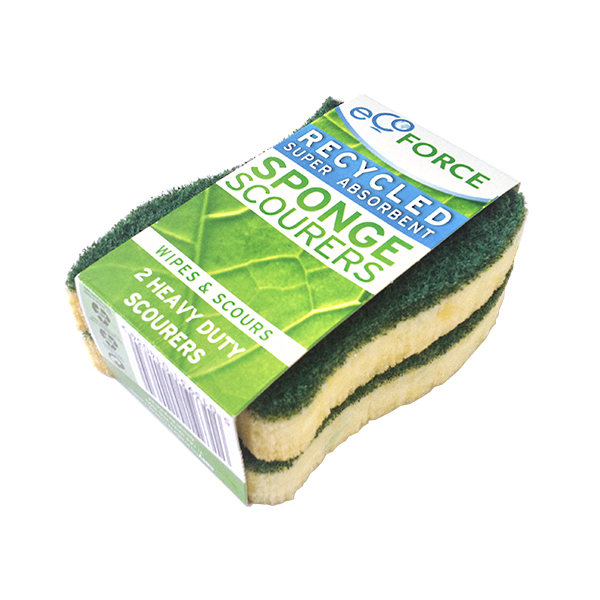 EcoForce Recycled Plastic Super Absorbent Kitchen Sponge Scourers are made using high quality recycled materials, helping your to run a greener home without it costing earth. Their key features are: Heavy duty, Contoured for easy grip and available as a pack of two. 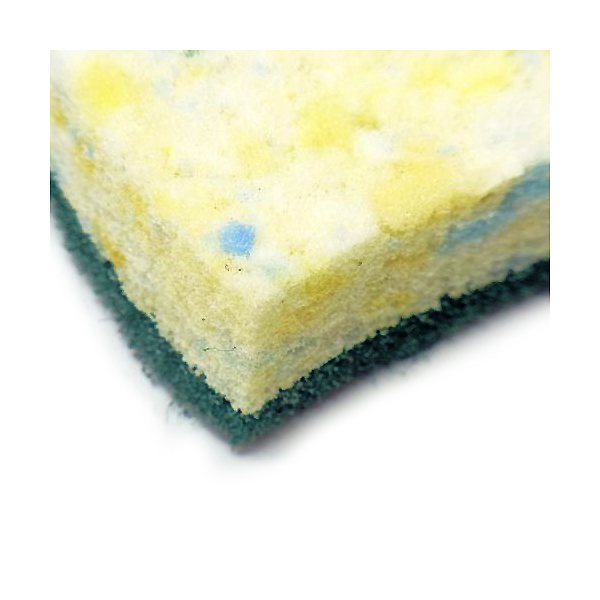 Perfect for everyday use, these eco friendly kitchen sponge scourers come in a handy pack of two and are ideal for clearing up messes in your home without causing excess harm to the environment. Made from heavy duty fibres and part of a range of eco friendly products, use this sponge scourers to wipe surfaces and leave your pots and pans sparkling clean. DO NOT use green heavy duty scourer on non-stick or delicate surfaces.